Polli Says offers beautiful, feminine styles in gorgeous stretch taffeta fabric that will make you a hit at any event this season. 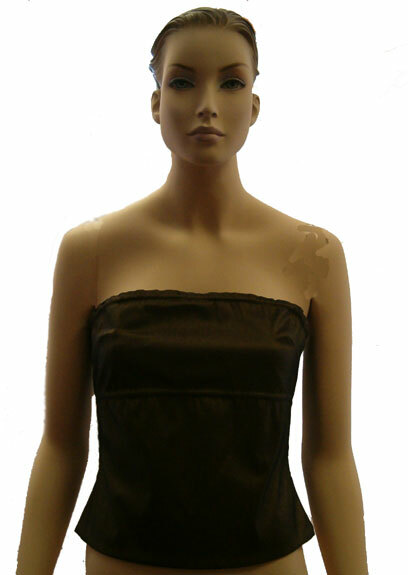 Polly Says Strapless Camisole in shimmering bronze stretch taffeta matches the Balloon Skirt for a complete look. Fitted with cording above and below the bust with ties in back for a custom fit. Mix and match this with any skirt or pants in your wardrobe - even wear it with dressy jeans for a night out! Completely washable. 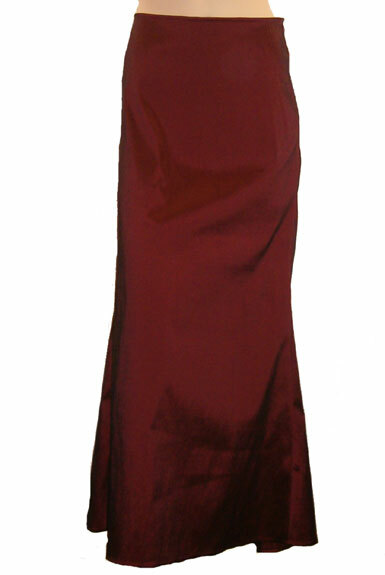 Polly Says Back Ruche Skirt in shimmering rouge stretch taffeta is simple in n its Elegance. The front of the skirt is an A line shape that falls gracefully to the ankle. The back is a surprise with the ruched effect created by cording through the back seam. This effect give you a Mae West behind! Stretch taffeta hugs the body with a bit of "give". Pair it with the Camisole above or try it with your favorite black dressy top. Completely washable. Polly Says Short Balloon Skirt in shimmering black stretch taffeta is perfect black tie dressing for this holiday season. Falls just below the knee for an elegant yet flirty look. Six panels with balloon effect hemline. 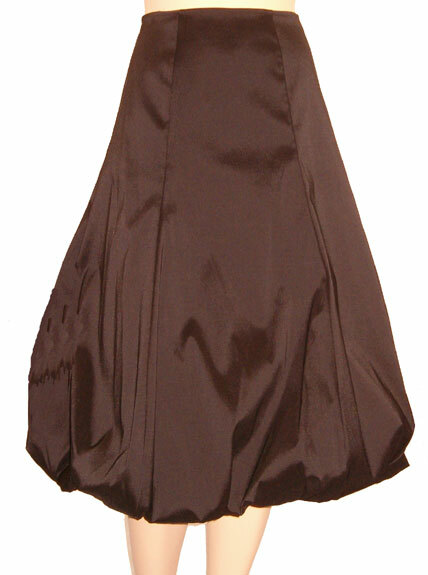 Stretch taffeta hugs the body with a bit of "give". Pair it with the off the shoulder top above or try it with your favorite dressy top or even a cashmere sweater. Completely washable.